Moong Dal Halwa Recipe Lifestyle Fundas : Career and Education | Fashion and Life Style | Latest Trends | Travel Guide | Love and Relationships | Latest Technology | Health Care | Beauty TipsLifestyle Fundas..
First of all wash the moong dal according to your requirement and soak it in water for 4 to 5 hours. After 4 to 5 hours pull out the moong dal from water and grind it, without water. Don't grind it too fine. Now heat the frying pan and put 2 or 3 spoon ghee and moong dal in frying pan, then mix with the frying spoon, on medium flame. In 15 to 20 minutes moong dal will be properly cooked (The properly cooked moong dal doesn't stick to the frying pan and you can see the ghee getting separated from moong dal). Moong dal is cooked now. Put Mawa (khoya) in a separate frying pan and cook on low flame. Then mix it in the moong dal. Put 100 gm sugar and water in a utensil and heat it on medium flame.When the water starts boiling cook for another 5 minutes on low flame, and prepare a wire like syrup. Mix this syrup in the moong dal, along with cashew nuts and raisins which makes it more delecious. Now mix this halwa on low flame. In about 5 to 9 minutes halwa will be ready. Now turn off the flame.Its time to get mix the grinded cardamoms in the halwa. 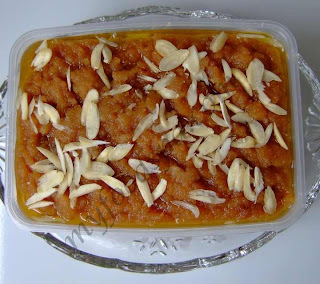 Monng Dal halwa is ready to serve now. 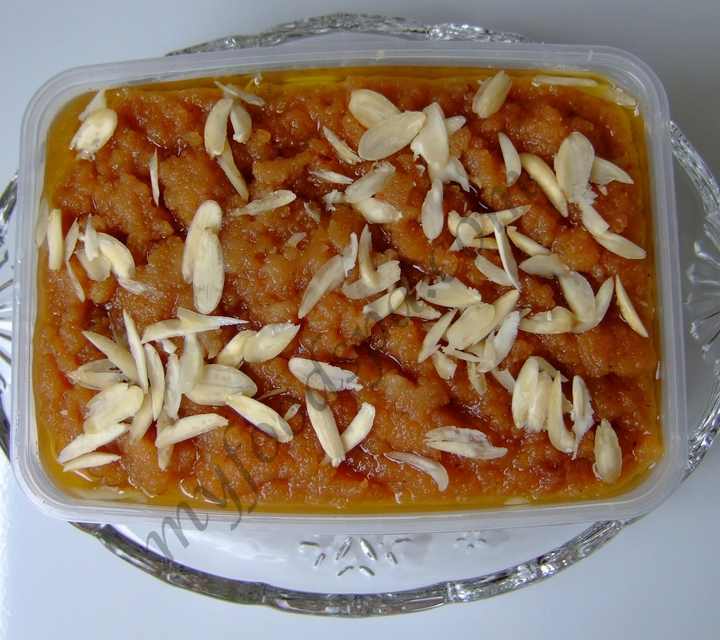 Extract the halwa in a bowl and garnish it with almonds and dry fruits which you like. You can serve and eat this hot, great tasting sweet dish. Mangalsutra – Symbol of Love! Why Your Business Needs Digital Marketing ? Top 10 funny baby videos. Laughing babies, top funny babies and the most watched cute baby videos and kids. Wedding Stages & Mandap Decoration Ideas : Decorate It To The help of Professionals. How to make Vegetable Juice Quickly. Home decorating ideas with in a Budget. Give Your Bedroom a Romantic Look ! Honeymoon - Perfect Beginning to your New Life.